TURIN -- Fiat Group's major product offensive won't come until 2015 when the automaker's core Fiat brand launches four new models and Alfa Romeo begins sales of a crucial mid-sized sedan and a small roadster co-developed with Mazda. Next year, the automaker's core Fiat brand will have only one new launch, a seven-seat variant of the 500L small minivan. Alfa will begin sales of the 4C coupe while Maserati will launch two sedans - a redesigned Quattroporte sedan and the Ghibli sedan, which will compete against cars such as the Audi A6 and BMW 5 series. Chrysler's Jeep brand will import the Cherokee large SUV from the United States that will debut at the Detroit auto show in January. In 2014, Fiat introduces the 500X, a replacement for the current Sedici small crossover likely to be built at its Melfi plant in Central Italy alongside a "baby" Jeep Wrangler small SUV for European and U.S. markets. Alfa will launch the 4C spider and possibly a large sedan, a possible substitute for the discontinued 164 sedan. Maserati will begin sales of the Levante luxury SUV, based on the Jeep Grand Cherokee. The automaker's real product push comes in 2015 when Fiat brand launches four new models: a refreshed Freemont large minivan, an updated Linea compact sedan, a hatchback Linea variant and another model as yet unspecified. Also in 2015, Alfa will launch the Giulia mid-sized sedan and wagon to replace the 159 and possibly a large SUV, along with a roadster developed with Mazda together with the next MX-5/Miata. Maserati's 2015 launches will be the next GranTurismo Coupe and GranCabrio convertible. Lancia will get an as-yet unspecified new model from Chrysler and Jeep will start sales of a single SUV to replace the Patriot and Compass and a new flagship called the Grand Wagoneer, which will be a seven-seat SUV derived from the Grand Cherokee. A sharp downturn in Europe has forced Fiat CEO Sergio Marchionne to focus on bolstering the company's European activities instead of taking full ownership of Chrysler by raising its current 58.5 percent stake. 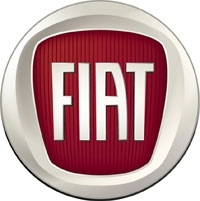 Fiat's revised 2013-2014 business plan and 2012 to 2016 product plan, both unveiled earlier this week, pledged increased spending to shift the focus onto the carmaker's higher-margin brands to preserve jobs in its Italian home market. The plans call for production in Italy of three new car models next year, six new models in 2014 and another five vehicles in 2015. Marchionne told Corriere della Sera on Thursday his new plan to increase investment in higher-margin models will enable the company to compete with Germany's premium carmakers. "Thanks to Chrysler [car platforms], we can leverage the Alfa Romeo and Maserati brands and become a nuisance to premium brand competitors," he said. Asked if it was perhaps too ambitious to aim to compete with German carmakers BMW, Mercedes-Benz and VW's Audi, he said "just watch." Fiat had previously put new investment in its Italian plants on hold pending an upturn in the European car market, which is in its fifth year of decline. Its decision to unblock investments was partly due to Italian Prime Minister Mario Monti's reforms, he said. "Monti's Italy is a different Italy from the one I have seen in recent years," he said. "And it's one that's worth betting on." Shares in Fiat closed 4.3 percent lower on Wednesday as investors doubted that a plan by the carmaker to fix its money-losing European operations by increasing investment in premium brands Alfa Romeo, Maserati and Jeep would work. Fiat expects to lose 700 million euros in Europe this year, up from 500 million euros last year. The automaker does not expect its automotive operations to break even before 2015 or 2016.